Go out with the setting sun on an empty beach….all just for you! Looking for an ocean-front house in a gated community? Then search no further as this is exactly what you have been looking for. This two-story, 4 bedroom home is a great opportunity for you to live at the beach in a quiet yet secure area. // The house itself is over 2000 square feet, with additional exterior patio space with small pool downstairs and upper balcony and covered private palapa. You enter this home through the 2-car carport into a large foyer. Off to the left is a bedroom with closets, air conditioner and full bathroom which is also the guest bath. Walk down a few steps to the sunken living room and walk up a few to the separate formal dining room. The living/dining room areas have all full length windows which open out onto the exterior patio area. Off the dining room is a huge kitchen with marble countertop and double refrigerators. // Up the winding wooden staircase to the second level you come to another large foyer off of which is a small balcony overlooking the neighboring street. To the left there are two more bedrooms, each with closets, air conditioners and full en-suite baths. Straight ahead leads to the upper balcony area. Off to the right is the huge master bedroom, walk-in closet and en-suite bath. The master bedroom has full length windows that also open out to the balcony area, with an extension to an upper covered palapa offering great views of the beach below. 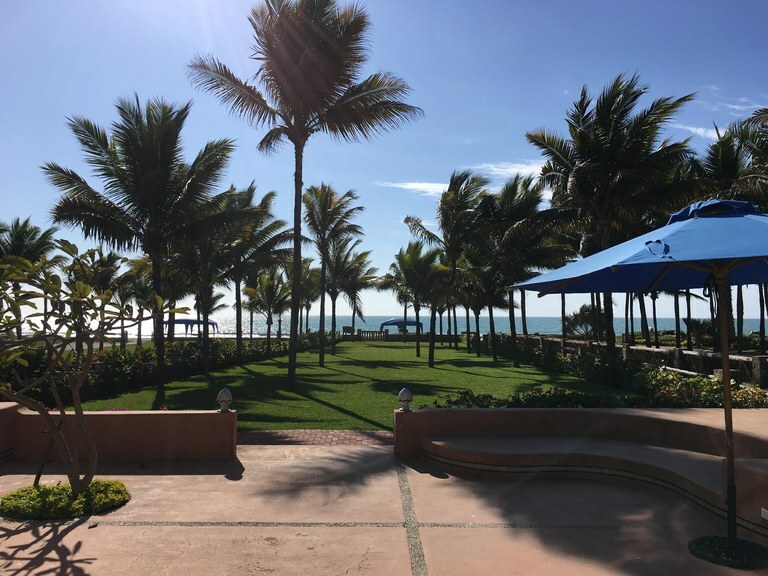 // Capaes is a prestigious gated community quietly nestled on the pacific in between the towns of Ballenita and Punta Blanca. Public transportation passes right outside the 24/7 gate guard area. There is a brand new strip mall where you can find banks, pharmacies, hairdressers, small eateries and the national grocery chain Mi Comisariato. The inter-provincial bus terminal is all of 10 minutes away. You will never forget your holiday here at this ocean front dream home. It’s like stepping into a magical place where you will get lost in luxury and not ever want to leave. This is the ideal location for a vacation or even that special occasion. The entire property is enormous with close to 5000 square meters of impeccably manicured lawns gardens and multiple areas to explore and enjoy. 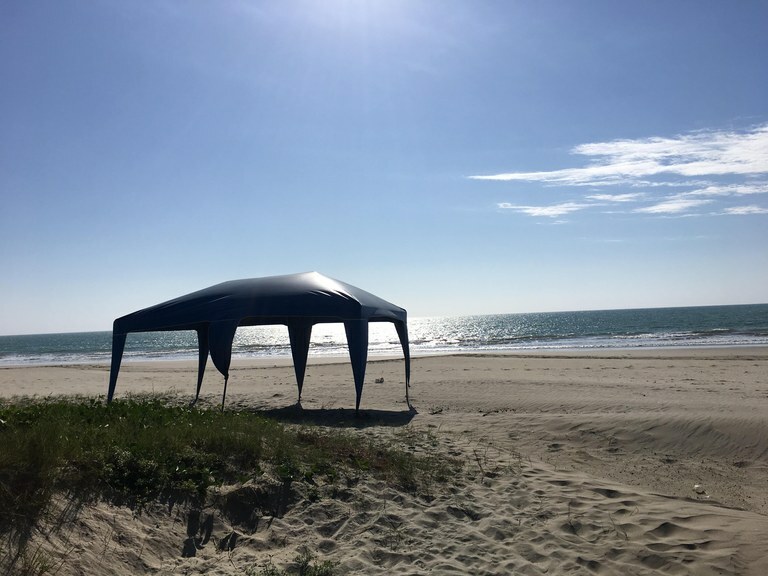 There is a lot of beach frontage with direct access via a paved walkway which leads through a beautiful doorway where you will find outdoor rustic seating. Inside the grounds there is the main house, a huge outdoor living/dining area, a large outdoor kitchen, a pool area with wrap-around wooden deck and seating, an outdoor bar area, and a two-story hammock look-out area from which you have fantastic views of the entire property as well as pacific ocean, the service quarters, and a three car covered carport. Oh, and don’t forget the sandy volley ball/beach tennis court as well as mini 3-hole golf course. The main house is a two-story with mixed wood, stone and brick construction designed with a French-provincial meets rustic beach home feel. Impeccably decorated and wonderfully maintained, this home is an entertainers’ delight. Downstairs as you enter through the grand doorway beach-side you enter into a large foyer facing a sunken kitchen. Off to one side you have a large pantry area and laundry. To the other side you have two large bedrooms with high ceilings, full en-suite baths, closets, ceiling fans and air conditioning. The opposite side is a large game room with pool table and fantastic wrought iron chandelier which leads to a sunken living room as well as half bath. There is a one other bedroom off the living room with full en-suite bath, closets, ceiling fan and air conditioner. Up the grand staircase is the master bedroom with private balcony overlooking the property and facing the ocean. The en-suite bath is enormous, and there is a huge walk-in closet. The property is available for holidays and special occasions only at $1,000/day. 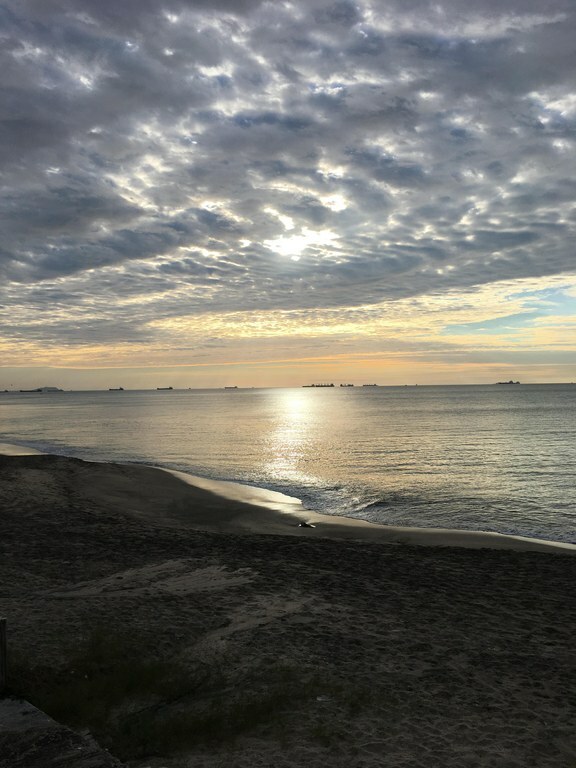 Enjoy your beach vacation in this great contemporary condo in one of Salinas' most premier buildings. 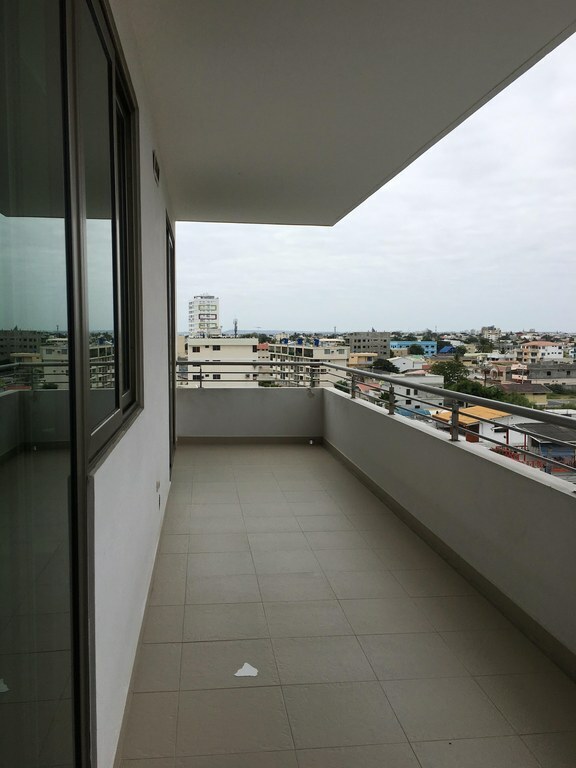 This spacious two bedroom, two bath unit only has one bedroom furnished so the other can be used for storage or perhaps a seating area. The open concept living/dining area opens up out to a huge balcony with great views of Mar Bravo. There is only a sofa set, no dining room set. There is a breakfast bar in the modern kitchen, which has a stackable washer/dryer in the corner. The building has 24/7 security and fantastic social areas including pool, jacuzy, sauna, steam room and gym. Rate does not include utilities. This is a great one bedroom, one bath efficiency suite is located in one of Salinas' most premier buildings on the Boardwalk. Enjoy oceanfront living in a cozy environment with all the comforts. 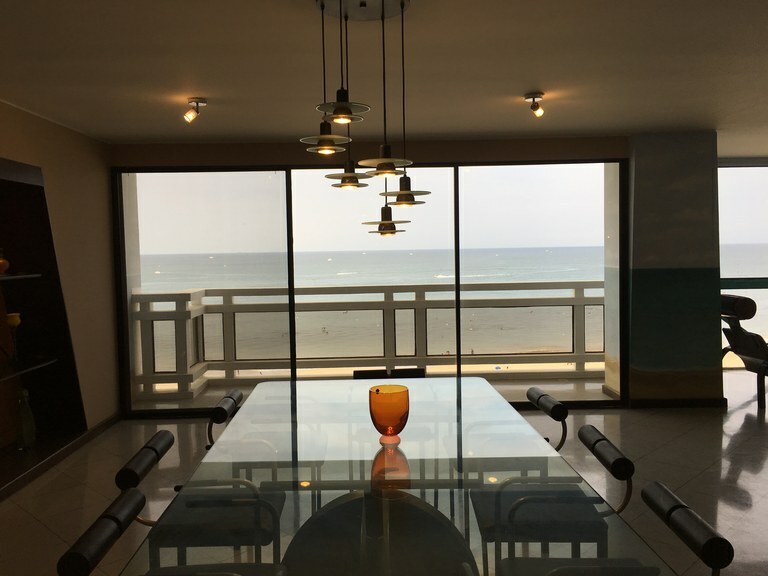 The open living/dining space has a nice picture window view of the beach. The kitchen is a nice size with granite counter-top breakfast bar. There is plenty of closet space and a stackable washer/dryer tucked away in the hall. The unit has air conditioning. Utilities not included in the rental rate. 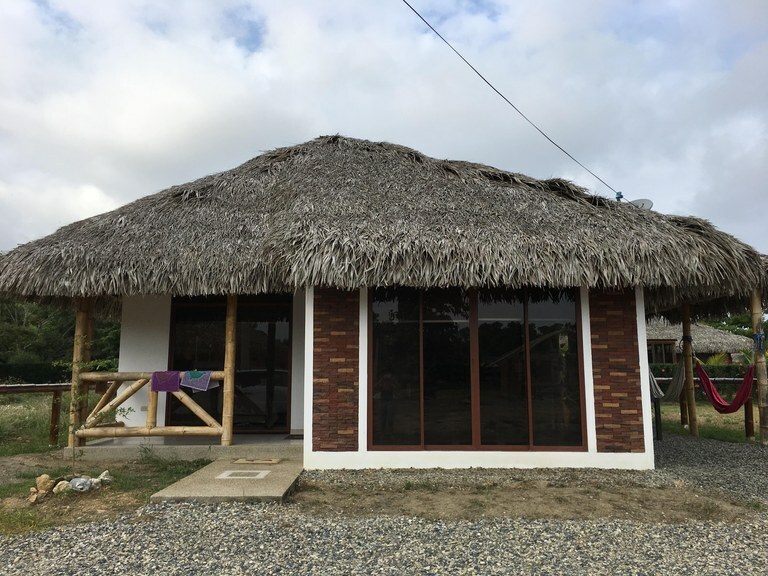 This is a great one-story house located in an up-coming residential community, quietly nestled in the foothills of the mountains and yet just a short walk from the beach. 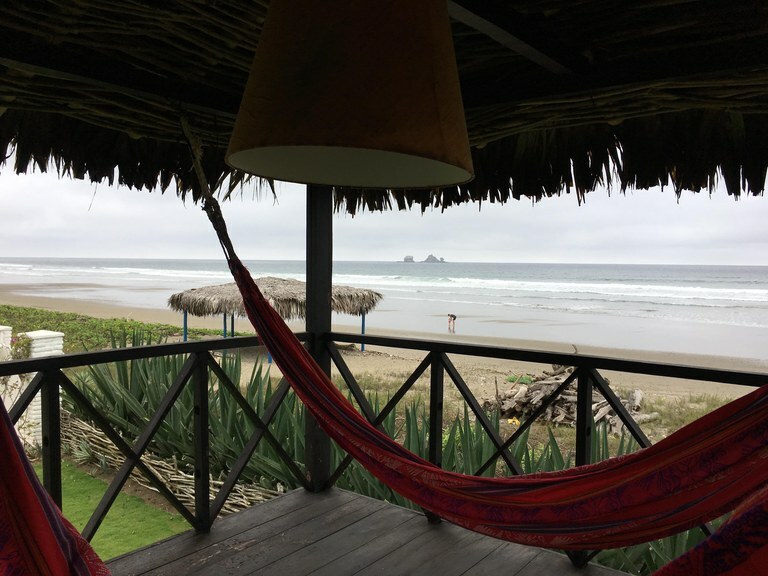 Enjoy the best of both worlds being surrounded by lush green mountains, mature neighborhood landscaping and some of the nicest stretch of beach that Ecuador has to offer. 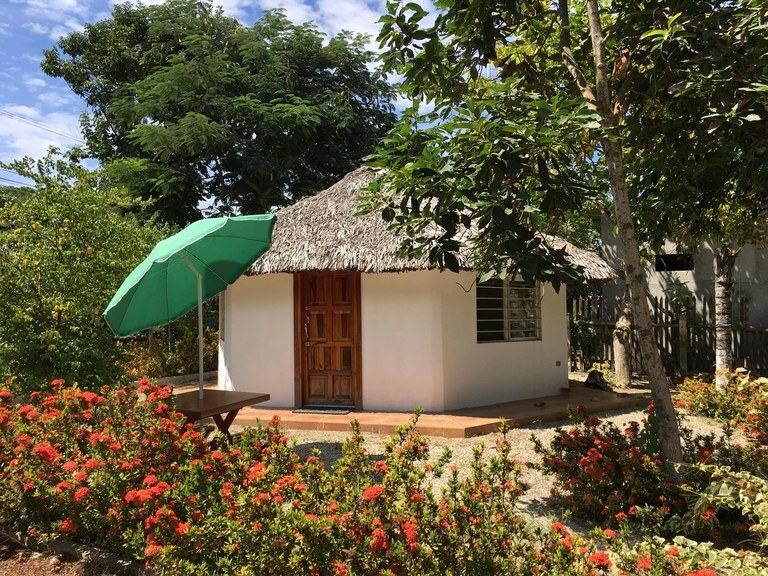 The rustic style home with thatched roof is about 1100 square feet on a nice sized lot. There are 3 bedrooms, and 2 full bathrooms. There is open concept living/dining areas as well as kitchen. There is a small front covered porch to sit on, as well as a nice outdoor eating area flanked by hammocks off to the side of the house. Around back of the house is yet another covered hammock area, with bamboo fencing all-round the perimeter. There is secure street parking. The rental rate includes all utilities. No short-term stays. 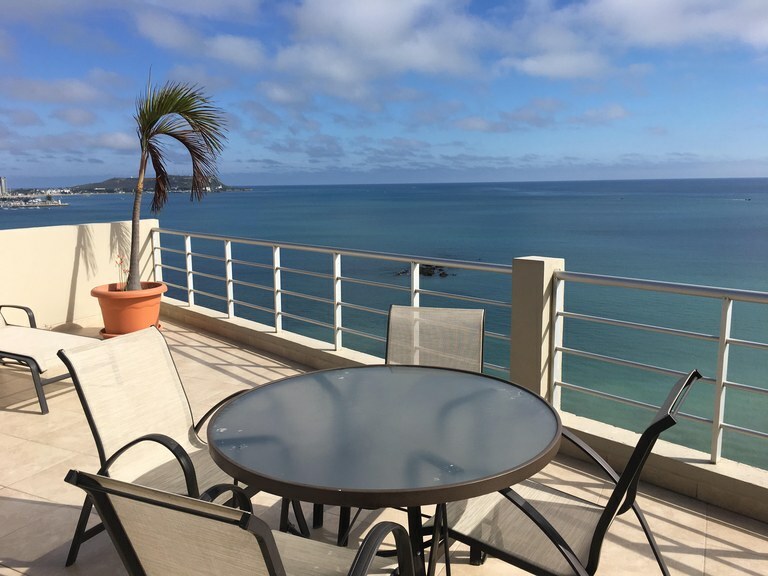 Rent this huge luxurious condo located directly on the sand in the best Salinas beach area of Chipipe. This art deco style condo is ready for you to enjoy the beach in style. The condo is almost 4000 square feet and takes up the entire floor. The main entertaining area is enormous open concept design while creating a separate dining space, media area, living room as well as bar area; all of which have central air. 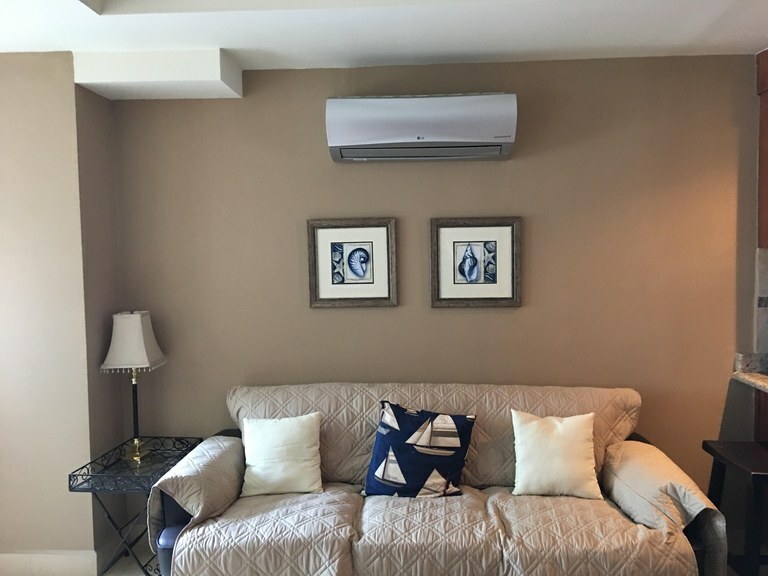 There are 5 bathrooms each with own air conditioning, closets, custom window treatments as well as private full bath. The kitchen is so large it is almost industrial in size with adjoining laundry area and service quarter’s with full bath. There is an additional social bathroom in the foyer. The unit has 2 assigned parking spots. The building has a pool, jacuzzy, game room and direct beach access for that toes-in-sand experience. Monthly rate $4,000 includes Homeowners fees only. Multiple month discounts available. Security deposit required on all stays.